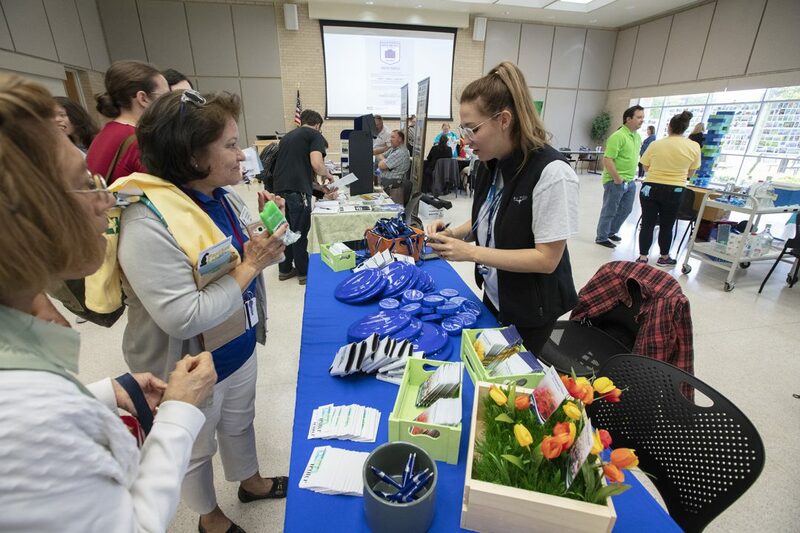 In keeping with its commitment to serving students and the community, Tarrant County College is hosting a variety of activities to mark Earth Day, a worldwide event celebrated on April 22, and the spring season. TCC Northeast (828 W. Harwood Rd., Hurst) will host Spring Fest Wednesday, April 10, from 10 a.m. to 2 p.m. The event will include free food, giveaways, performances and information tables for student organizations, campus departments, community groups, employers and universities. Spring Fest takes place outside the NSTU Student Center, by the chessboard, or, in case of inclement weather, in NSTU 1615A and surrounding hallways. The campus will host the Springtime Sprint 5K Wednesday, April 24, from 10:30 a.m. to noon. The event, sponsored by the Kinesiology Department, begins at NHPE’s Tennis Pavilion. Register online or contact Kelsey Kwan at ho.kwan@tccd.edu for more information. 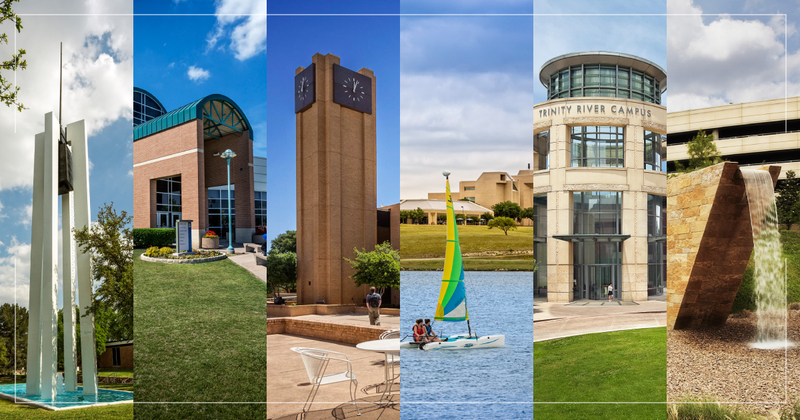 TCC Northwest (4801 Marine Creek Pkwy., Fort Worth) is sponsoring a student photo contest in honor of Earth Day. Submit photos taken at the campus with a cell phone or tablet device in one of three categories: plants, animals and landscapes. The deadline for entry is Thursday, April 11. For more information, contact Greta Bowling at greta.bowling@tccd.edu. TCC Northwest will hold its Earth Day Fest Thursday, April 18. Planned for 10 a.m. to 1 p.m. in WSTU 1303/1305, the event will feature free food and music as well as vendors from Texas Parks & Wildlife Department, Native Prairie Association of Texas, Fort Worth Nature Center, Tarrant Regional Water District and more. The campus will hold its Earth Day “Golf NW” disc golf tournament Friday, April 26, weather permitting. The event will begin at 10 a.m. outside WSTU on the lawn. For more information on the disc golf tournament, contact Alan Cazares at alan.cazares@tccd.edu. TCC Northwest Earth Day activities wrap up Saturday, April 27, with the “Run NW” 5K/10K. The 10K begins at 8 a.m.; the 5K begin at 8:15 a.m. Registration is $10 for students, faculty and staff and $30 for members of the community. The race is free to children 12 and under. Proceeds go to the Marine Creek Nature Discovery Center, a TCC Northwest initiative, and Community Link food bank. For more information, contact Sarah Matlock at sarah.matlock@tccd.edu. Celebrate the Earth Day at TCC South (5301 Campus Dr., Fort Worth) with Spring Fest. The event is Tuesday, April 23, from 12:30 to 2 p.m. on the SSTU patio. The Office of Student Activities, student organizations and campus departments will take part in the event. For details, contact Amanda Sims at amanda.sims@tccd.edu. 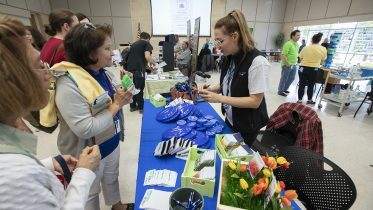 TCC Southeast (2100 Southeast Pkwy., Arlington) marks its commitment to a healthy world with its 10th annual Arbor Day celebration. On Thursday, April 25, TCC Southeast students can “chalk the walk,” an opportunity to make chalk drawings pertaining to Arbor Day on campus sidewalks. 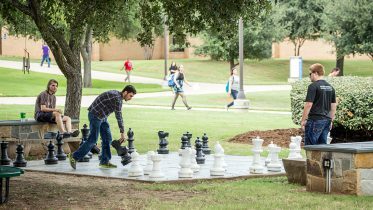 On Friday, April 26, from 11:30 a.m. to 2 p.m., the front lawn of the campus will come alive with food; activities such as corn hole, a bee dance contest and a photo booth with the National Bee Princess, part of TCC Southeast’s partnership with Bee Campus USA; giveaways of saplings, plants and literature; and information booths covering topics such as tree conservation, recycling, composting, gardening and bees. For more information, contact Michael Cinatl at 817-515-3037. 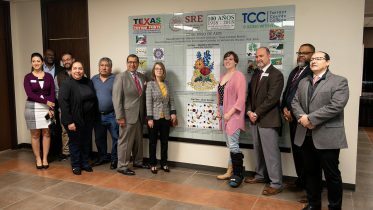 Leading up to the event, the campus held an Arbor Day poster contest, a “trees and bees” ceramics competition and a “trees and bees” cookie contest for Culinary Arts students. For all upcoming TCC events, check out the Collegewide Calendar.